The Gazania, formerly known as the Sun Rosier, is the latest Freehold condominium development situated along How Sun Drive, District 19, Singapore. The freehold development sits on a land area of 146,046 sq ft. It has a 1.4 plot ratio (ratio of maximum floor area to land area) and an allowable height of up to five storeys. Surrounded by exclusive private enclave, this condo development comprising of 250 exclusive units with home choices from 1-bedroom, 2-bedroom, 3-bedroom and 4-bedroom. 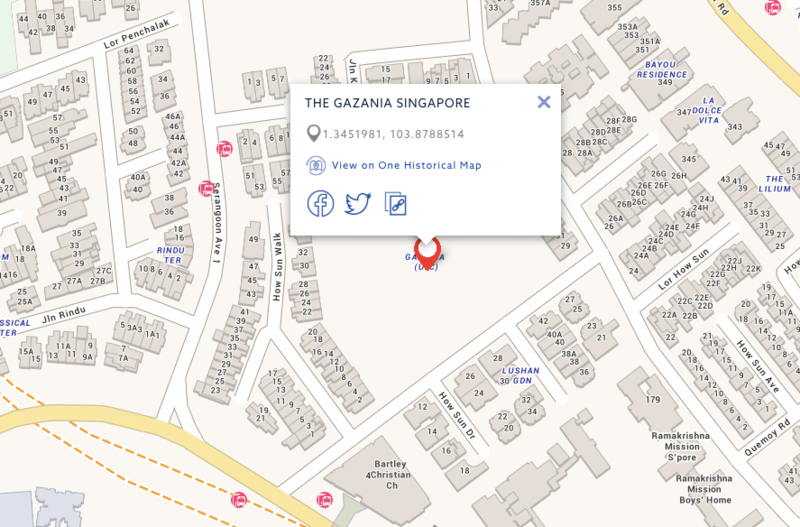 The Gazania Condo is within 4-minutes walk to Bartley MRT Station. It will be developed by JV SingHaiyi Group and Huajiang International who En-bloc bought the plot of land for S$271 million. The offer works out to S$1,325 per sq ft per plot ratio for the 146,046 sq ft site. The break-even price for the new development is expected to be in range of $1,800 psf. Given the location which is 3 minutes walking distance to Bartley MRT Station and nestled between Serangoon, upcoming Paya Lebar Commercial Hub and near the upcoming Bidadari estate – it is expected to generate overwhelming interest from both investors and home seekers.